In a reverse of a vote a day earlier, the Big 12's Faculty Athletic Representatives voted 7-3 Thursday to pass a rule change allowing Oklahoma quarterback Baker Mayfield to continue his Sooners career into 2017. Without the passage of a rule change, Mayfield would've been considered a senior by the Big 12 in the upcoming season but would've had the ability to transfer outside of the conference after graduation to compete for another year in 2017. The rule change allows a walk-on who doesn't have a written scholarship offer from his or her current school to transfer without the penalty of automatically losing a season of eligibility. 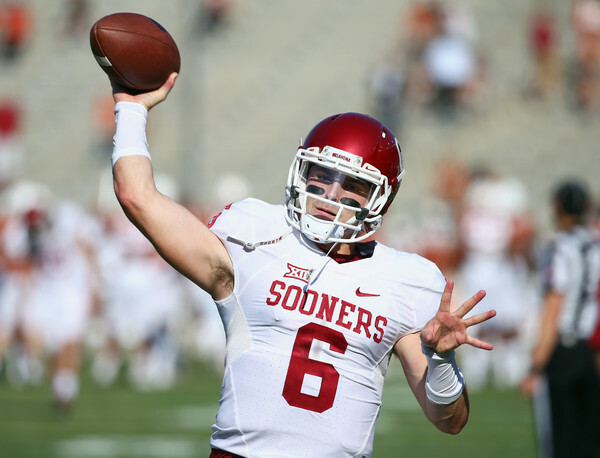 Report: Big 12 Reconsidering "Baker Mayfield Rule"
Big 12 Fails to Pass "Baker Mayfield Rule"